Kylie Jenner has hinted that she's pregnant again almost a year to the day since she gave birth to daughter Stormi. The 21-year-old reality star shared her broodiness on Instagram , posting a picture of herself cuddling up to boyfriend Travis Scott with a cryptic comment. And - predictably - her fans went wild with the thought she was confirming her second pregnancy. 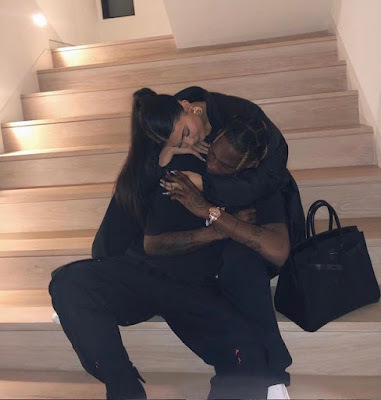 Kylie, who has been with Travis for more than two years, could be seen sitting above him on their staircase with her arms wrapped around his shoulders. She captioned the photo: "Baby #2?"